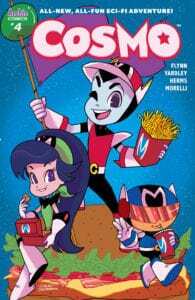 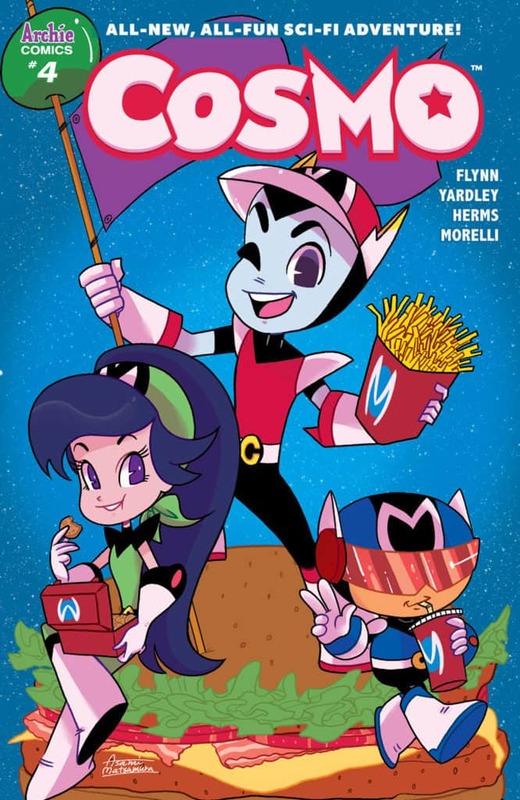 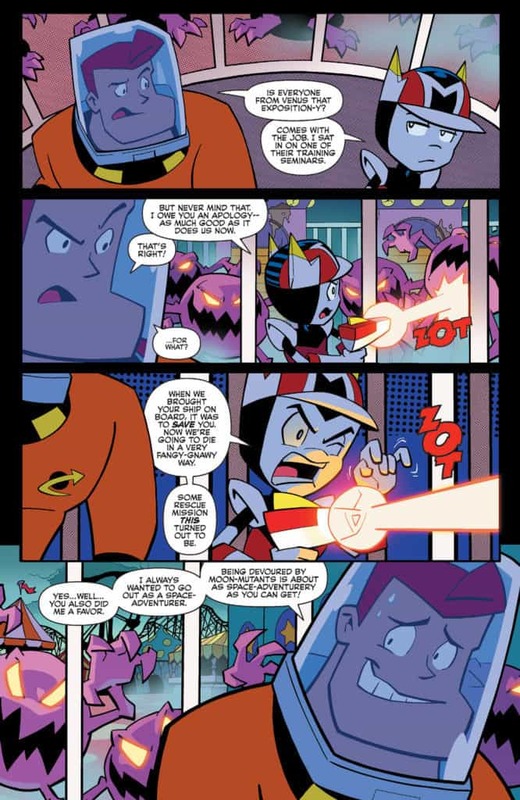 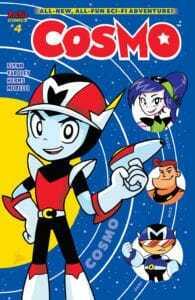 Available Wednesday, April 18th from Archie Comics is the penultimate issue of the new ongoing series COSMO. 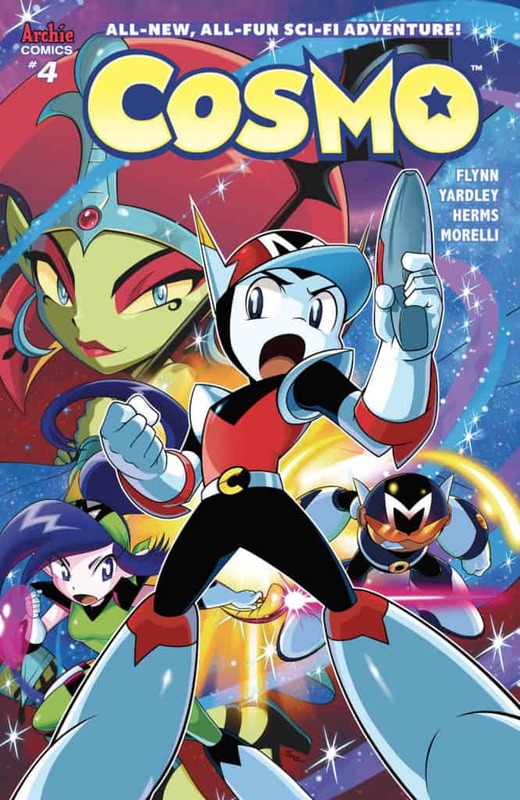 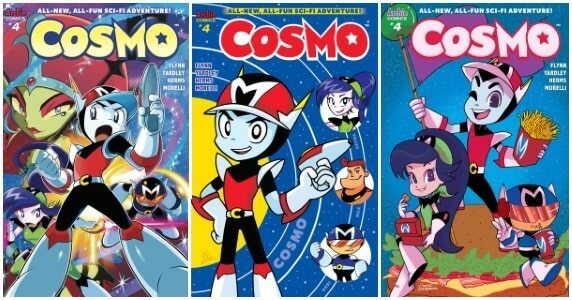 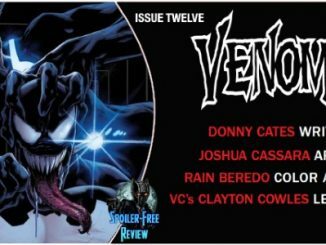 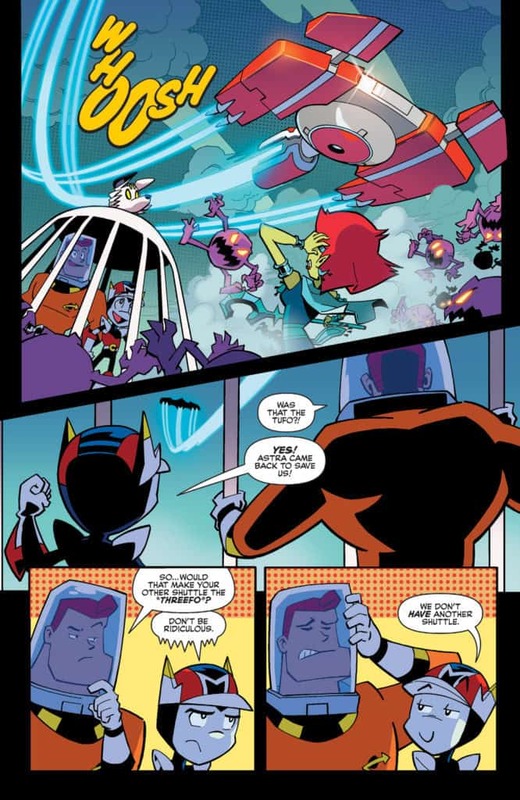 COSMO is a reboot of the classic Silver Age sci-fi series by writer Ian Flynn and artist Tracy Yardley, with colorist Matt Herms and letterer Jack Morelli. 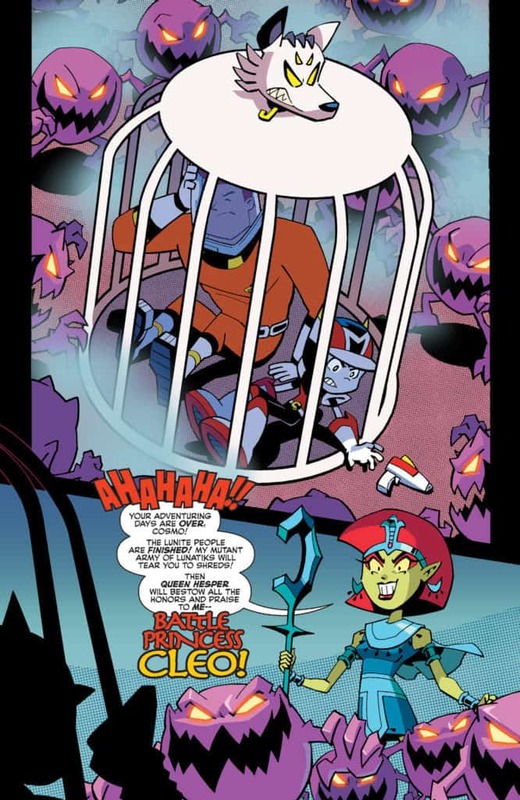 The evil battle princess Cleo has our hero Cosmo cornered! 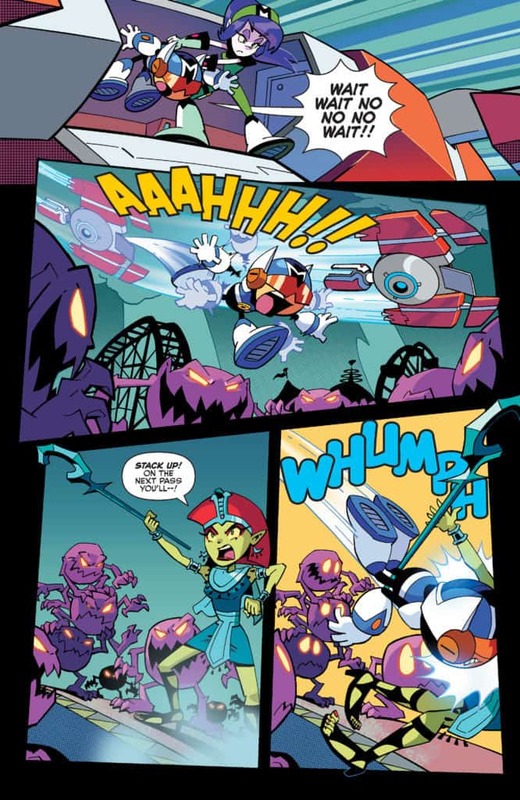 Is this the end of the mighty Martian’s mission or will the wheel of fate turn in his favor? 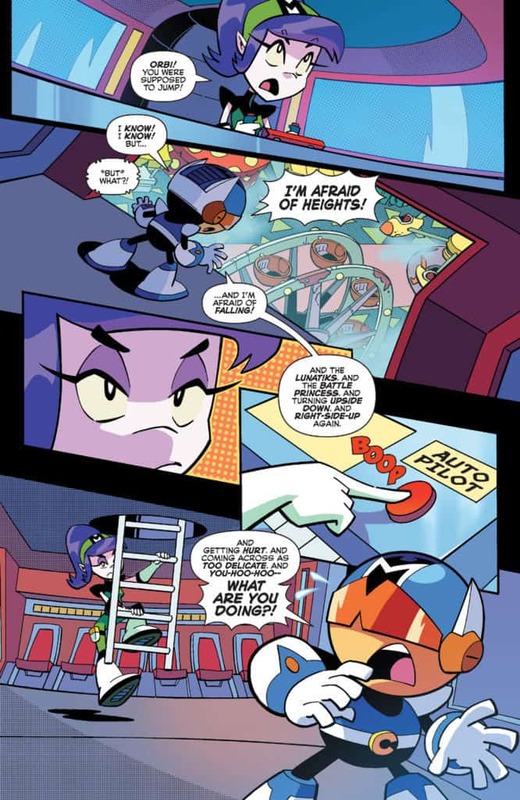 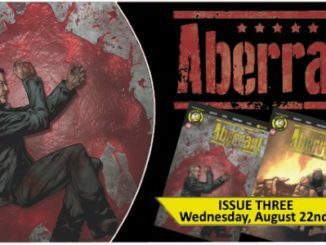 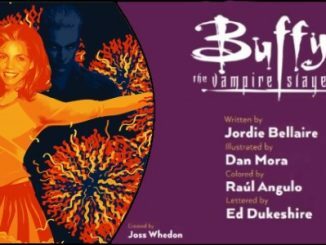 Find out in the penultimate chapter of this 5-part mini-series!